Beautiful white/tan Karma with 23K miles for sale in the Los Angeles area. 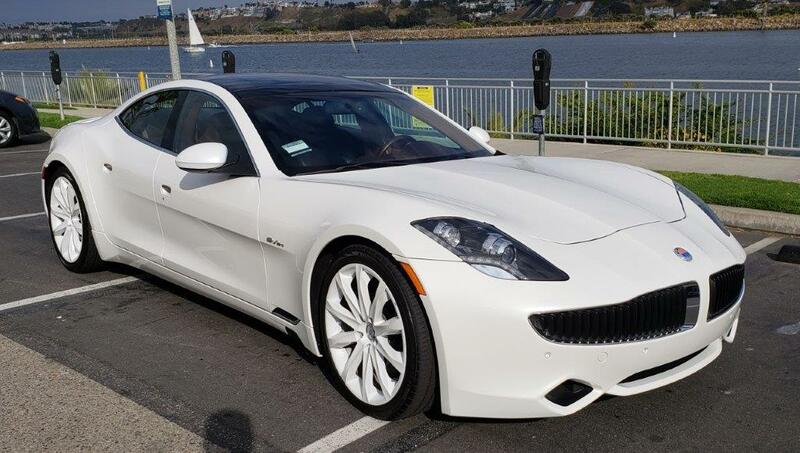 All updates and new primary battery installed by a dealership in Orange County, CA that purchased many of the Fiskers from the company after it folded. Their mechanics were former Fisker employees. Please contact me for details, pics, etc. Last edited by Mbf1; 03-15-2019 at 03:59 AM. Are the mechanic(s) you are referencing named Travis Richardson aka Lormax? They worked for the foreign and exotic car division of Anaheim Mitsubishi which was a few miles away from the Fisker plant. Pics of 2012 Fisker Karma for sale. Getting to know how this site works.